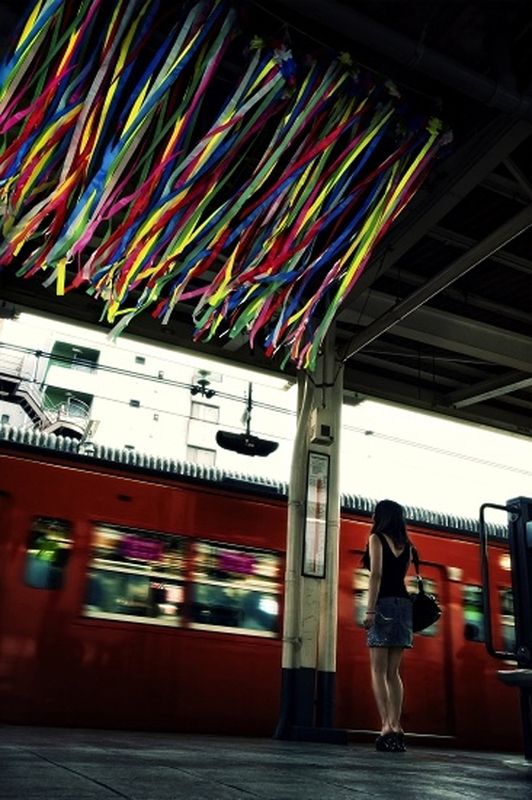 The photo is lovely even without knowing much about it — it was taken at a rail stop in Tokyo. The photographer in an email to me explained: street festivals are common throughout Japan in the summer and each district has its own. The streamers here were for a festival in Tanabata — it’s typical for decoration to be placed around town. Here’s more info.